All the older Filipino cookbooks I have (say 30-50 years old) have recipes for pato tim or a braised duck dish with mushrooms and soy. Not a single one of those cookbooks mentions pata tim… So I am not sure if pata tim is a relatively new invention, a variation of pato tim, or an entirely new dish. Chinese in influence, I am thinking “tim” might refer to the manner in which the meat is cooked. 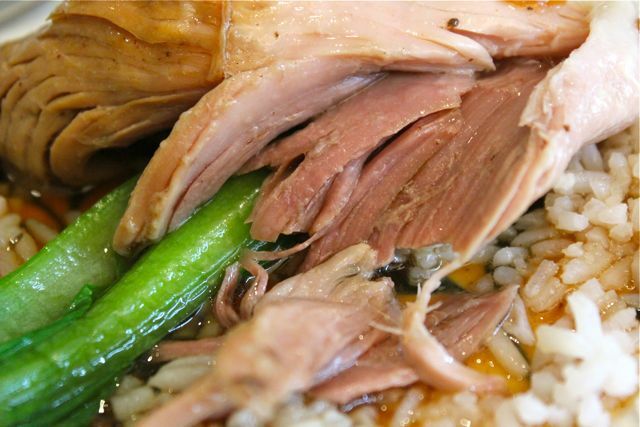 But regardless of its provenance, this dish is something that we used to order in Chinese restaurants, and its arrival at the table was highly anticpated… the meltingly soft flesh of the pork hock, the sticky almost gelatinous sauce, and the aroma for just slighly unusual spices. Two things triggered the pata tim experiments. The first was a brand new pressure cooker that is the first pressure cooker we have had in the house for over ten years (the other one broke). And oddly, some fresh sugar cane I purchased at the markets last Saturday. I had been reading the instructions and MULTIPLE warnings regarding the proper use of the pressure cooker and decided to try out a recipe for pata tim. I took two patas or pork hocks that were roughly 1.5 kilos each. Wash and dry with paper towels. Into the base of the pressure cooker, add some vegetable oil and turn the heat onto medium hign. Brown the patas slightly on both sides and remove from the pot. I added peeled and sliced fresh sugar cane, and fresh shiitake mushrooms to the bottom of the pot. Add the patas back in. Add the remaining sugar cane and mushrooms, two pieces of star anise, a few bay leaves, a tablespoon or so of black peppercorns, and a teaspoon or so of five spice powder. Next a couple of glugs of Shaoxing rice wine, five cups of water and 1 cup of Kikkoman soy sauce. I also added in 2 tablespoons of brown or muscovado sugar. Add more sugar if you prefer your pata tim rather sweet. But I didn’t add much sugar to begin with, knowing I could adjust this later in the process. Placed the cover on the pot and made sure all the safety precautions were in place and placed the pot over medium high heat (on a burner outdoors, in case of explosions) until the pressure gauge read roughly 15 psi (pounds per square inch). Turn off the heat, wait till the pressure drops to zero, and open. The meat was INCREDIBLY soft and just the way I was hoping it would be. The sauce was a bit watery so we removed the meat, and boiled down the sauce until a bit more concentrated. Add a touch of cornstarch mixed with water if you want a thicker gravy style sauce. Also, taste the sauce now and adjust for sugar or salt if necessary. I suppose you could make this in a heavy casserole and braise it for say 4-5 hours to achieve a similar effect, but to me, the pressure cooker is essential for getting that unusually tender texture to the meat. Do this a bit too long in the pressure cooker and the meat might get a bizarrely soft texture… I have been wary of pressure cookers more out of ignorance than anything else, but I think pata tim is one of those recipes that benefits from the gadget. an absolute fave of mine…. i do mine on a slow cooker…but yours looked gorgeously yummy! i never replaced by pressure-cooker when it broke years past. i use a cast iron pot when cooking pata-tim. funny, using the same recipe with liempo and they call it estofado. equal proportions of vinegar, soy sauce and brown sugar. the usual onion, garlic, bay leaves for aromatics. boiled/steamed kamote and saba for siding. now i’m eager to try fresh sugar cane! Yummy! One and a half to two hours in a regular pot over charcoal-fueled clay stove does it for us. You have to refill the charcoal every now and then, though. ti in chinese means pig and ma meat. Ti-ma pig meat. This maybe the root word of pata tim. thats how we say it our hookien chinese language here in the phil. cats, that’s really interesting, thanks. 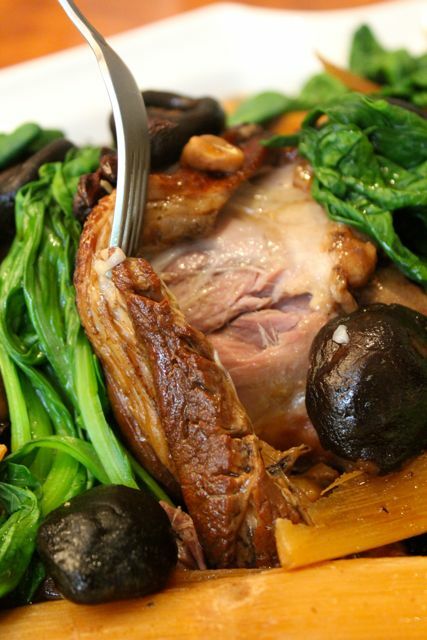 But pato tim is steamed duck, while pata tim is braised pork… is it a misuse of the word? Or was pata tim meant to be steamed you think? …lazyman’s way of doing it?…using the chicken in Coca Cola recipe I e-mailed to you about 3 or 4 years ago….with a slight twist…star anise, etc. …stopped drinking Coke or Pepsi for years now so I just use it for cooking now! 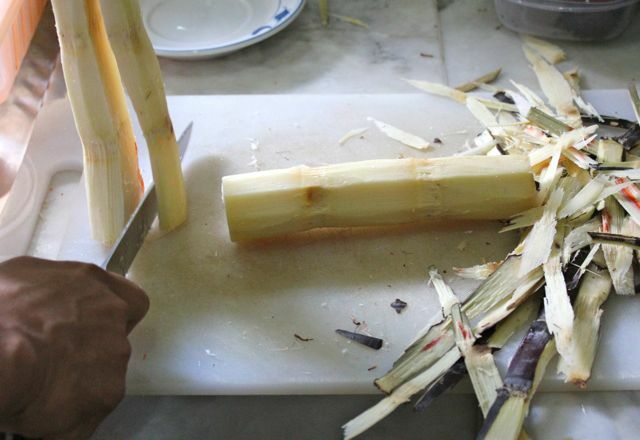 pata tim is always a hit with my family, but this is the first time i’ve heard it done with sugarcane. sometimes i buy some cua pao (the siopa–like bread), split them and put slices of pata tim and some of the veggies, and a sprinkle of crushed peanuts, and some cucumber slices….asian style of pulled-pork sandwiches. MM, sayang you got your pressure cooker na. for a few months now, we’ve been using a multipurpose cooker called “perfect cooker” – we got one because we were tired of all the “tutong” left in the bottom of the rice cooker pot all the time, no matter what brand of rice cooker we used. the perfect cooker does not leave any tutong, and doubles as congee cooker, and pressure cooker. the meat does not shrink as much as when you cook it in the regular pressure cooker, and it’s fully automatic and very safe. it makes perfect sardine-style bangus, tamban, etc. i’d recommend it for your restaurants. will email you the manila dealer’s contact number if you like. Im jealous of your pressure cooker! Looks like its really for the “pro”. I must admit that we have never eaten nor cooked “pata tim” in the house. Im used to my dad’s pata cooked in “bulaklak ng saging” or most often “nguso ng baboy” instead of the pata. Thanks for sharing the recipe. The Chinese is also unsure why Filipinos call it Pata Tim because to “tim” actually means to steam as in “tim neng” = steamed egg. Instead we call this dish “Hong Ti-kha” or “Lo Ti-kha” in Chinese. “Ti” is pig, “kha” is leg. “Lo” / “Hong” – mean slow cooking. Tim in the Hokien dialect means to cook the food in a vessel within another vessel half filled filled with water. It is not the same as steaming food like siopao. The word for steam in Hokien is “che” or in Cantonese is “cha”. That’s how my mother cooks her pata tim. Hope this helps. MM, I’ll try to include fresh sugar cane the next time I cook patatim. I used to cook it with the following, Pepsi (sorry Coke), a lot of crushed garlic, onion, black peppercorns, bay leaves, Kikkoman soy sauce, water (preferably pinaghugasan ng bigas) and muscovado sugar. @ millet, any dealer in Davao City for the “perfect cooker”? thanks. 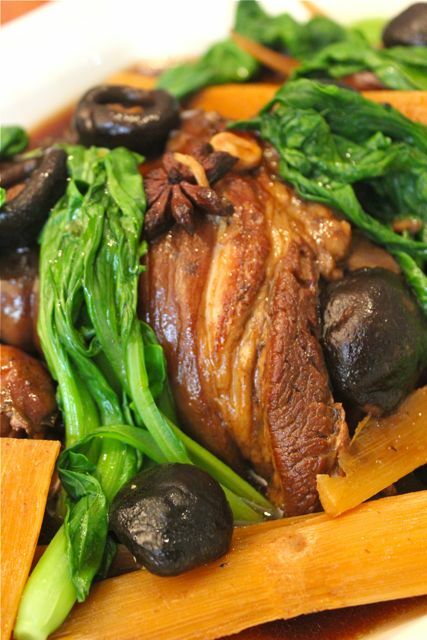 “PATA” is the Tagalog word for thigh(pork hock?). “TIM” for “Itim”(Black) actually the color of the dish is brown….just guessing…..LOL! RE: Pressure cooker…we’ve been using the gadget a long time. It saves on cooking time and precious fuel. We’re using the older model not like yours but for meats (depending on quantity), our counting time when it begins to hiss is usually 20-30 mins only then just let it cool by itself as the residual heat and pressure will finish the cooking. Tip: Always make sure that the rubber gasket is a tight fit. Your next pressure cooker project should be the lengua. They serve this in Mey Lin with mantao, veggies (kuchay i think) and crushed peanuts. Then you can assemble your own cuapao! P450 for half a pata, with all the trimmings! SARAP! This may just be one of my favorite pork dishes (after lechon and chicharon)! This and humba I love…I like a little sweet in my food, especially Chinese style sweet :) I’ve been too scared to try a pressure cooker, even though I have a pretty nice one from my mother in law (who is a big fan of the gadget). But this is seriously tempting me! @millet, where can I buy cuapao bread in Davao? 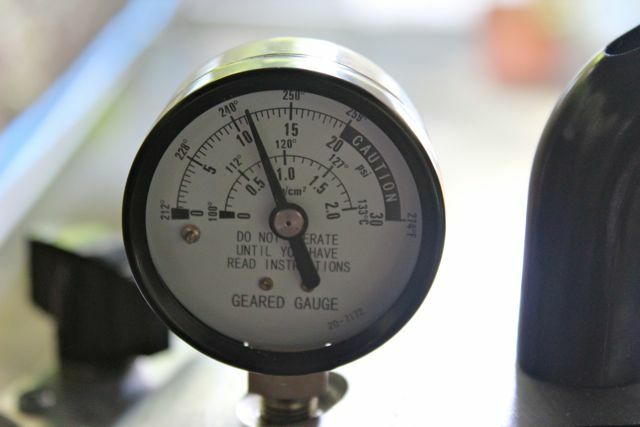 You have the Rolls Royce of Pressure Canners…ALL AMERICAN PRESSURE CANNERS. I believe you have the 21 qt. I have a 12 qt and a 21 qt. You could can as well your tuna in olive oil, SALMON TUSCAN STYLE sardinas/pate and DULONG PATE, smoked tinapa pate …makes excellent addition to your Christmas foodie baskets. It is salmon season here now and I have started making cases and cases of my Tuscan Style Salmon Sardines/Pate. So the pressure canner is busy these days! my uncle runs a a restaurant serving this pata tim which is a huge hit with his followers. the secret is in roasting the pork pata first before pressure cooking it. that way the fat melts away, you get that nice color and the semi soft texture of the pork skin. my mom does a mean variation naman calling it asado she uses the wok to stir fry lots of garlic with some sugar then adds the pork in. she uses kasim and liempo, this method caramelizes the sugar making the meat more red in color once cooked. and the garlic taste and scent melts into the gooes sauce of soy and sugar with the anise making it a truly wonderful dish in our family. Thanks for the recipe MM! Ive never tried pata tim, afraid that it was too fat. However, your recipe enlightened me. I like the fresh shitake, the sugar cane and the bokchoy. Id love to try making this. Do you think the Kuhn Rikon pressure cooker would explode? Ngeee :) I use the kuhn rikon to soften the veal shanks for osso buco. Ms. BettyQ – I did use “Dr. Pepper” on my “Turkey-Tim” on one Thanksgiving Day.. and it was a hit.. Lahat ng bisita nag-tatanong kung anong inilagay ko, mayron daw “sweetness” sa sauce. My husband was about to tell everybody… kung hindi ko lang siya binatukan, ayos na siguro secret ko. Ayyy…. sarap siguro ng salmon pate mo…relocate kaya ako dyan.. hehehe… seafoods kasi talaga patay na patay… kahit na siguro everyday ang galunggong ko…ayos lang..
last week, i was searching your site for pata tim recipe, found none. i saw paksiw na pata. i learned this recipe from Sandy daza , watching his cooking shows after school. He saute some spring onion and brown the pata with it. 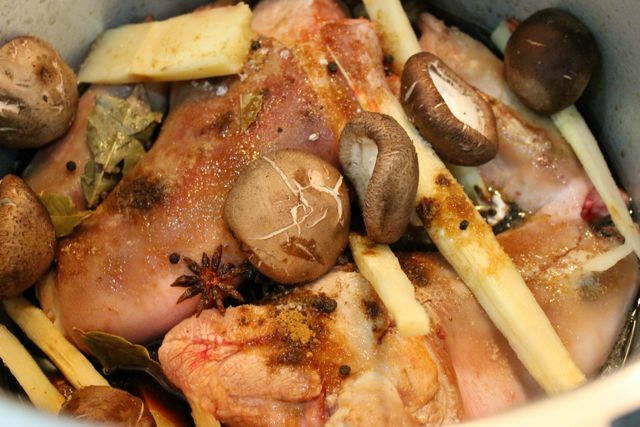 place the pata in a pot with star anise, laurel leaves, sugar, toyo, chinese rice , water, shiitake mushrooms. let it boil for hours until tender and the liquid is thick…. yummy.. finger lickingly good!! Ebba…Hindi ba makuha sa tingin si Mr. Ebba?…mwahahahaha! If you cannot get fresh salmon, ano-anong isda ba meron diyan na sa tingin mo puede timplahan ng Salmon Tuscan Pate? If you have access to even mackerel, puede na. 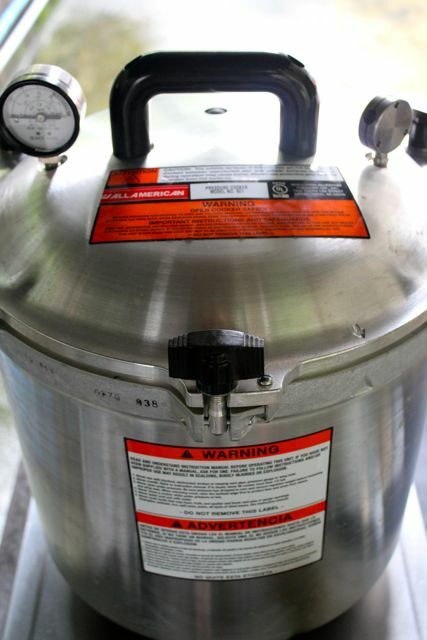 If you are new to canning fish get a pressure canner first, go on Craigslist…a 12 qt. can fit 14 to 16 -250 ml. salmon jars (double decker!). Sometimes you can get lucky and find a hardly used canner of about $30. Remember to check the rubber gasket and if the canner has a separator plate that fits on the bottom of the canner …kung maluwag and rubber gasket, baratin mo! You can buy the rubber gasket including the release thingey for less than US$6. Then once you are a pro at it, go for the All American brand…does not need rubber gasket and will last you forever! Ms BettyQ, I can get a good salmon here, also mackerel.. pero yun nga muna ang unahin ko, I will get equipment muna. Cge, check ko and I will then email you. Guess, what I am going to try this Wednesday – salmon embroiled in sliced fresh calamansi, chopped lemon grass, dried herb spices, and salt/pepper. Wrapped in soaked corn husk, and ….. grilled !!. I can already taste it. Last weekend kasi, I had the same recipe – but wrapped in banana leaves – eh yun nga naisip kong gawin na corn husk… para maiba ang flavor. Ummm…..
Alam mo itong Pata Tim – pag-sobra na ang balat ng pata (medio nakaka-umay na) natitira siya sa table ko, so I chopped it and mixed with fried rice… manamis-namis na sinangag for the next meal. So… balik corn husk tayo – I will do this Pata-Tim Fried Rice wrapped in corn husk Ala MM…. and grilled away…..
MM: “a couple of glugs” [of Shaoxing rice wine], if translated into Tagalog is “mga dalawang plok” ? Hehe..
@net (19): you can buy cuapao or steamed buns from any royal breadhaus outlet in davao. they’re in packs of four for PHP30+. Hi Mr. Marketman, i cook that a lot @ the church and that’s one of my most requested one esp fr my pastor, and i like it for easy prep….i just brown the skin then put it in the crock pot with soysauce, oyster sauce, couple of bay leaves, star anise then water, and i do in the evening before going to bed, and by the time i wake up in the morning it’s already very tender and ready for dressing, like i put a lot of veggies, bakchoy, straw mushroom (my prefernce), young corn, snow peas…..and any veggies u prefer to put you could…and i use a lil cornstarch to thicken the sauce…..
Me, i cook lugaw in pressure cooker, try it.dont forget to add more water to prevent it from drying or being burnt ( tutong). Ebba…your salmon wrapped in corn husk…best to season it and BARBECUE it first, 1 to 2 minutes on each side till you get the grill grill marks only. Then stuff it inside the soaked corn husk and add your herbs and then finish it off again on the barbecue till the husk is slightly charred. That way, you get the smokiness from barbecuing it first and then the corn essence upon finishing it on the grill again. I did a demo on Seattle PBS in the mid 90’s doing that kind of salmon. Do not throw away the silk…masarap na pampalamig in corn silk tea! That is what I have been drinking these last few days with those bubbles (tapioca pearls). @Net, I remember we get our cuapao bread from Grand Men Seng Restaurant. this is a very common dish in Chinese-Filipino households and am also a common one-dish meal in Thailand. KHAO-KHA-MOO (KHAO rice KHA leg MOO pig) is usually served with hard-boiled eggs mixed in with the sauce to give the egg white a brown color, pickled mustard and blanched bokchoy (sometimes dipped in the sauce before plating) with a side sauce of chilli-vinegar. Thanks Ms. Betty. Email kita regarding your “shago-corn silk tea”. Net, there’s a small bakery across Fatima church. you need to order at least one day in advance. ask the tricycle drivers around where the bakery is…it’s right in front of the school behind the church. they also have a pan de sal-type bread which they call by a different name, and it is delicious. i usually buy a lot of cuapao and freeze them, (without the filling) and steam as needed. alan, the perfect cooker is available in davao at the bakers’ basket at mabini st. cor. quirino ave., across the penong’s quirino branch. bettyq, puede bang mahingi yun tuscan style salmon recipe? Thanks, Madgwenny, Debbie and Millet! I used to buy frozen cuapao from Ongpin pa, not knowing they sell it here. betty q, Just wondering if you are selling the salmon tuscan style sardines? I know that you are in Vancouver and I just moved here two years ago. You think I can purchase a few cans? I won’t deny that I am a silent fan of MM and betty q Thank you and I hope to meet you one day. Ana…They are not for sale but I will be more than happy to share them with you. I use wild chinook salmon but if you prefer wild sockeyes, I will make a batch with sockeyes just for you. Maybe the Sunday right before Labour Day, we could meet at Our Lady of the Assumption Church in Poco, I attend the first Mass in the morning at 9 am. But if you would rather meet somewhere else , then just let me know. If you know my e-mail, please give me a shout. MM, I agree with @manny, your next pressure cooker project should be lengua. My dear, departed father used to cook the “meanest”, soft and utterly delicious “lengua estofado”, but he was not able to pass on his recipe to us because we did not show much interest until it was too late. Now, we can only reminisce and revel on the memory of the food he cooked. Come to think of it, the men in our family are great cooks, lol, with the exception of this person. Thanks a lot Millet.Happy Kadayawan..
Yummy, MM. I used to make this dish too. Gotta do it again. Will do it your way. Never had any problem with the pressure cooker. Altho, I just make sure I am not in the kitchen when it is on, he,he. @ bettyq, what is your recipe for the tuscan style salmon. Have to dig out my pressure canner. Also, I got a supply of sockeye salmon. Have not thought of canning them til you mentioned it. Thanks, bettyq. Most modern pressure cookers have a safety valve that releases steam when you reach a certain pressure. That is why on ordinary cookers you have this metal weight that dances around letting out excess pressure. 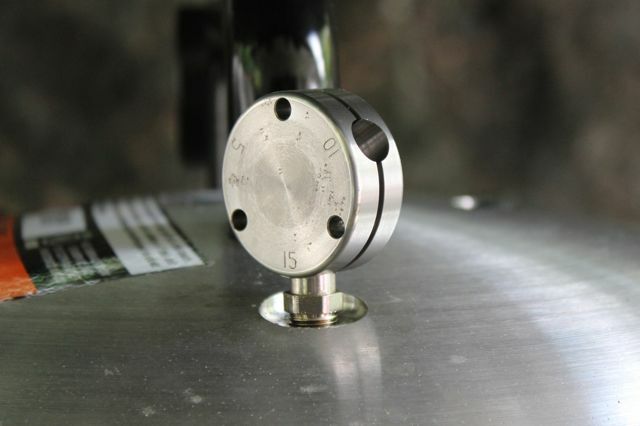 The weight of the metal corresponds to the allowable pressure for the cooker. I usually tenderize beef that has a lot of gristle or “gatil” in a pressure cooker. I love dipping it in patis+calamansi once its very tender. I agree, Tim is a hokkien term for a cooking method that uses steam to cook food in another covered vessel, usually a clay or ceramic pot. I never connected the dish with this before though hahaha! And I never knew there was a pato tim! Mm, as cat mentioned, Chinese traditionally use rock sugar in braises, soups and stews. Partly I think the reason is to balance the yinyang of a dish. Rock sugar is cooling, which balances heaty braises and meat. Regular sugar is heaty. Millet, have you tried fuzzy logic rice cookers? They make perfect rice each time using star trek type of scifi tech, induction heating, and all that jazz. My Tiger fuzzy logic is arriving next week and I am super duper excited. I can’t wait to try if the ultra yummy setting can really make regular rice ultra yummy! 6 tulog na lang…. PATA TIM DERIVED FROM CHINESE PATA STEW LIKE THING. 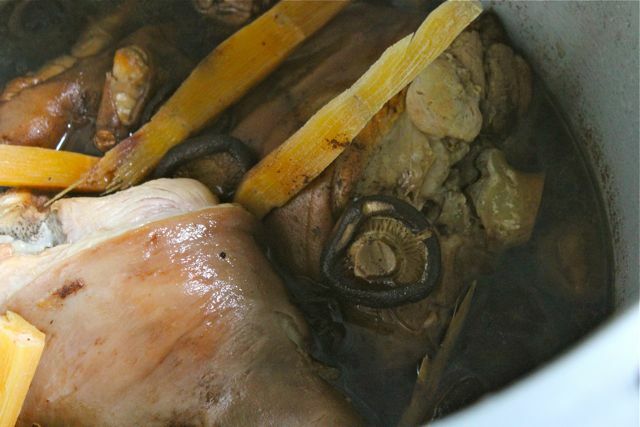 THE FILIPINO VERSION OF PATA TIM IS ALSO A TRULY GOOD PATA RECIPE. IT TASTES SOOOOOOO REAL GOOD TOO. Hello there!! !I am fascinated on all your post. 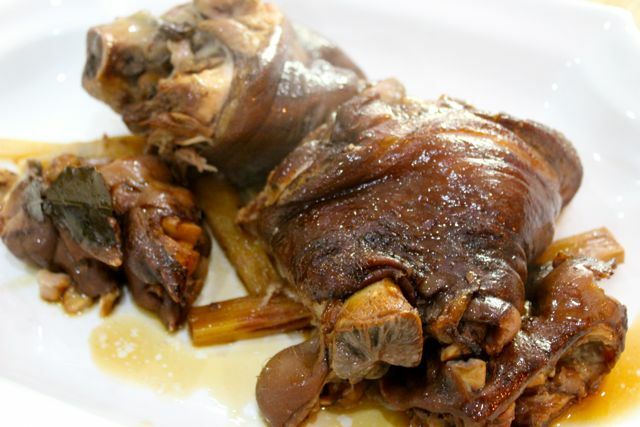 Just to share a recipe of pata tim my Uncle used to serve during special occasions here in Pangasinan. He first deep fry the pata after placed it in a deep stock pot. Put some red onions, bunch of celery, soy sauce, pineapple juice, salt, ground black pepper and brown sugar. And cook it for about 1 1/2 hours on slow fire until the sauce thicken. Its more of braising method.